Those are seriously good genes. 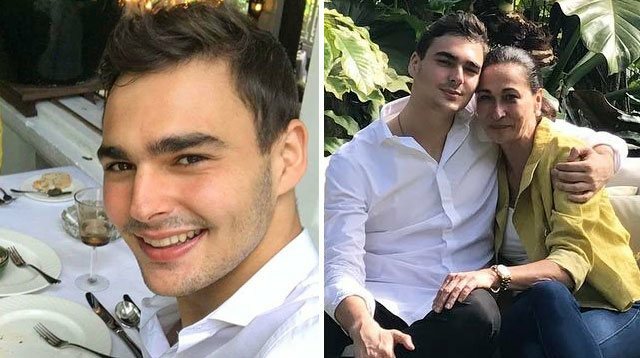 We sure as hell did not know Cherie Gil had a son who’s gorgeous AF. But thanks to PEP.ph and Instagram, we got the scoop on the veteran actress’ 19-year-old son. Everyone, meet Raphael Rogoff, NYU student and probably one of the bae-est guys ever to reside in New York. As far as we know, Raph is currently in Manila to spend time with his family. He recently went on a date with his mom in Antonio’s Tagaytay. He also partied with his cuzzies. Yup that’s Andie, Max, Stevie, and Geoff Eigenmann. The Eigenmanns are def the coolest bunch. He’s a certified mama’s boy and shows it through the very many #tb posts of him and his main woman on IG. So cute! Raph’s also super close to his dad, Israeli violinist Rony Rogoff, and sister Bianca Rogoff. He actually shares the same name as his late tito Mark Gil whose birth name is Raphael John Eigenmann. But it is with deep sadness that we inform you that he is not single. Here he is looking all couple-y with his girlfriend (who’s also a mega babe, tbh) Solveig Martin, also from NYU.